Bubble Tea aka Boba Tea is one of Taiwanese staples in street food technically it is a drink. It is so popular that it made its way to a bunch of other countries. People who have never tried them are missing out on something really special. The most common type of bubble tea is Milk tea with large tapioca pearls, but the more popular bubble tea gets, the more varieties of flavour combinations pops up. From fruit teas with pearls to slushies with puddin and jelly. 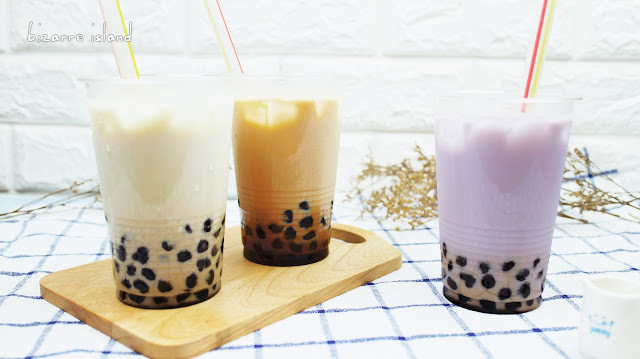 "Boba" is derived from the Chinese word "large breast" which the Taiwanese nicknamed their large size tapioca pearls after, so if you are ordering the tiny pearls, they are NOT boba. 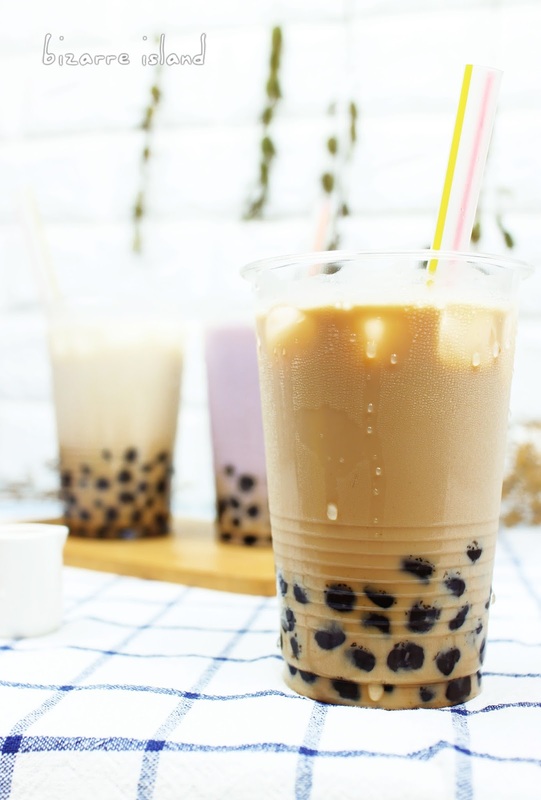 Bubble Tea's name on the other hand originates from the bubbles made when shaking the milk tea, so technically if your tea is not a milk tea and shaken to froth up, it is not a bubble tea. Now you have this knowledge, don't go argue with people when someone calls it boba or bubble tea, it doesn't really matter, what matters is that the drink is oh-so-good. 6. In a glass, add 1/3 of pearls into the bottom and add a couple cubes of ices, strain the chilled drink on to it and serve it with a thick straw. 7. In a glass, add 1/3 of pearls into the bottom and add a couple cubes of ices, strain the chilled drink on to it and serve it with a thick straw. Hi do you think that you can use brown sugar instead of dark brown sugar? I love your video and it seems really simple. However, everything falls apart when I go up to the microwave part. I do it in 10 seconds intervals. I can never roll it out into your shapes as it bounces back into its round shape. When I cut it into little parts, it never turns into a ball. I really need help!! Thanks! !